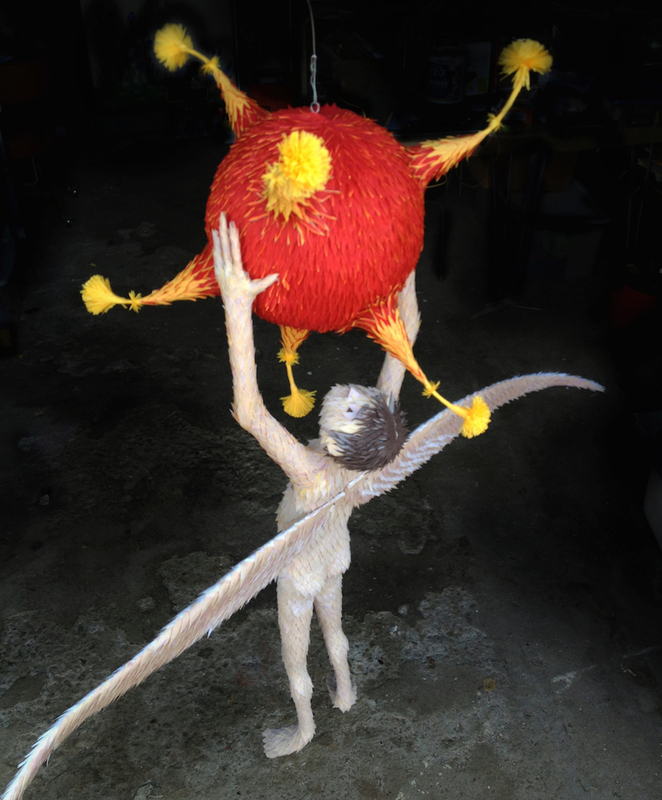 Artist Roberto Benavidez specializes in whimsical piñatas, but his Hieronymus Bosch piñatas are a Garden of Earthly Delights. If you purchase one for use at a party, in keeping with the theme, they may only be filled with hell-candy: Necco wafers, baseball card chewing gum, licorice, and circus peanuts. Lots of other cool piñata and non-piñata work at his site.